While the main Pokémon games have rigidly stuck to their tried-and-true formula, the spin-offs have gone into some pretty interesting territory. 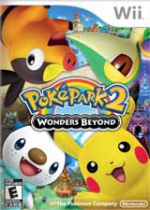 Rather than focus on the life and tribulations of being a Pokémon trainer, PokéPark 2: Wonders Beyond once again lets you step into the shoes of the franchise's lovable mascot Pikachu, and this time he's brought some friends. The story begins with an oddly serious scene of Reshiram and Zekrom discussing an ever-growing darkness which serves as an odd contrast with the series' usual bright, cheerful tone. After some very cute scenes with Pikachu and his best friend Piplup, players are again blindsided with more drama as Pikachu must find a way to rescue the 'mon being hypnotised and held captive in the mysterious Wish Park. It's all a bit jarring, honestly. The main bulk of the game is so sweet you'll probably get cavities, but some of the story scenes are actually quite heavy — it's never fun to see Pikachu cry, especially when he's at his most helpless. While younger fans probably won't notice or care, those who are able to fully grasp the story will be more engaged than they had probably expected before popping in the disc. The first PokéPark Wii: Pikachu's Adventure only let players take the role of Nintendo's iconic shock mouse, but this time the starter trio of the Unova region get to share the spotlight. As the story progresses Oshawott, Snivy and Tepig can be swapped in at any point, allowing them to use their unique talents to help. While it would have been easy to make all four characters play exactly the same and hope players are satisfied with false variety, each Pokémon's skillset is necessary to traverse PokéPark and find all that's tucked away. Oshawott can swim, Snivy can jump high and Tepig is able to bash through certain barriers. 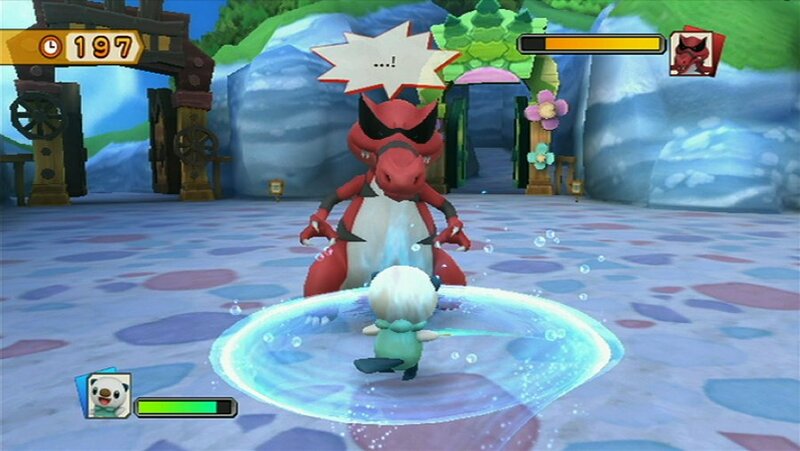 The main bulk of the game is simply exploring and interacting with different Pokémon, who will occasionally send you off to find a lost item or ask you to play tag. The rest will ask you to battle, and there are no menus or turn-based systems to be found here. You'll be jumping, dodging and attacking in real time, which is refreshing for a Pokémon game. If you lose, it's no big deal; you just have to get up and try again. 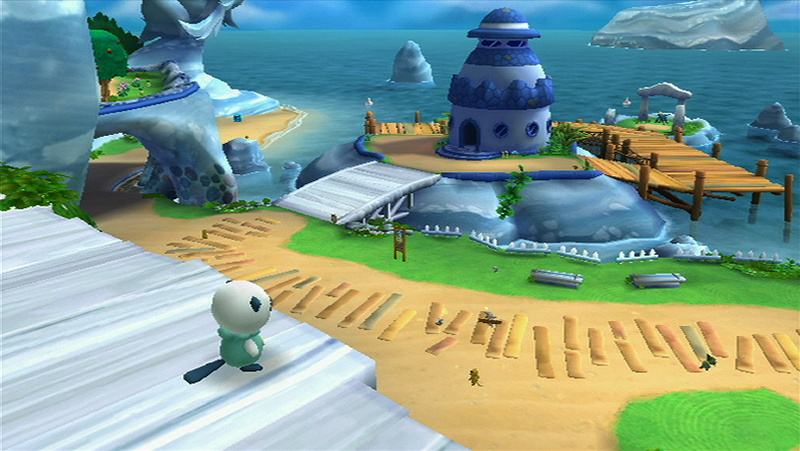 The graphics are full of life and vibrant; they're good, and not just for a Wii game. The world of PokéPark is well designed and full of colour, and you'll often forget what you need to do to continue the story because you'll be having too much fun exploring. It's a lot of fun to see Pokémon just being Pokémon, outside of Pokéballs and free from the rigours of life with a trainer. The music is an aural feast as well, with catchy, upbeat tunes adding to the sense of fun and adventure, and you'll often find yourself nodding your head along with the music without realising it. It's the kind of game music where sometimes you'll just stop and stand there so you can listen to it a little bit longer. 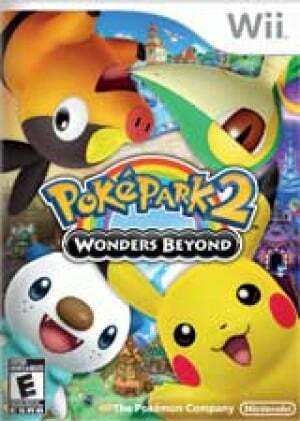 PokéPark 2: Wonders Beyond is a simple game, but that's not a bad thing. The warm, welcome graphics and fantastic music are the perfect frame for a game of this type. It's simple but it's fun, and at the end of the day that's all that really matters. Those who aren't Pokémon fans probably won't be as enamoured as those who can sing the Pokérap from memory, but for Pikachu's devoted followers this is super effective. his actually looks legitly fun. Nice review Joe. I'm going to this just so I can sing along with the poke rap. I'm really enjoying what I've had a chance to play of this game!! The battles are simple, but not having them be turn/menu-based is really refreshing, and much more reminiscent of the anime series. I've always thought it was silly that the games are still turn-based. I'd love to see an actual Pokémon game done in an advanced form of this style of gameplay! Kinda wish I'd gotten this instead of Rumble Blast. It was a blast at first but became a chore near the end. This one looks like more my kind of game. Ooh! a 7 I might have to look into it after all. I find it odd how the developers of the main line of Pokemon games Gamefreak design all these Pokemon and have them portrayed in their game as almost nothing more then tools used for combat, then the anime and other developers take Pokemon and really bring them to life and show "this is what it would really be like if Pokemon were alive". I was just asking about this today, GETTING IT! I guess i will skip out on the first one. Loved the first one so I'll get this one. I was worried it wouldn't be good, so this review was very helpful. Sounds interesting. I would like to know the average length of a full playthrough and if it has other modes besides the main story. I'm not really interested myself, but my nephew is starting to get into Pokemon and this might be perfect for him. So... What exactly did this version bring to the table that warranted an extra three points over the first one? @Katzii I haven't played the first one, so I don't really have a way to compare them. I'm just going by how PokéPark 2 stands up as its own game. My daughter has recently discovered the Pokemons; I have no doubt she'd love this game. Seems like a decent idea for a birthday gift! @SpaceKappa - that's fair enough. I liked the first one, myself, save for the control scheme, but it just confused me that this one didn't seem to add that much more, but got a much higher score. Thanks for the clarification. I bought this for my pokemaniac lad. Its actually pretty decent. Pleasant time-pass. I just love how you get to be a pokemon. I wish you could be which ever one u wanted. Hopefully you can recruit members like pokemon mystery dungeon. I never bought this because the first one was too frustrating. Some of the activities such as the chasing the Pokemon around were annoying. I was also tired of Pikachu constantly being the star of EVERY GAME that does not take the main role of a human. Even in the Mystery Dungeon games, Pikachu is always an option, although Pichu is the primary form. Every other Pokemon is in their primary form... 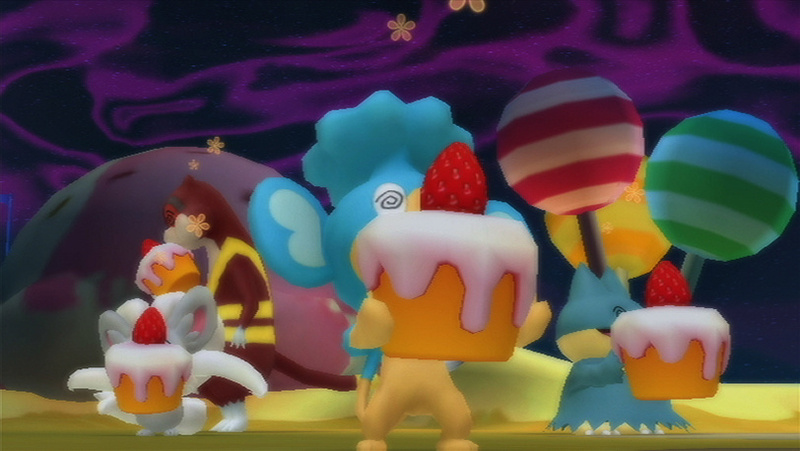 Even in the recent installment where there are only FIVE playable characters... Pikachu is the ONLY Pokemon from recent Mystery Dungeon installments to be in Infinity... At least you aren't forced to choose him in this game or the Mystery Dungeon games... he is there occupying Aipom's space.